Welcome to the Maybank complaints department brought to you by HissingKitty. Experienced poor customer service? We make it easy to file a formal complaint against Maybank online. Simply use our free form and your feedback will be instantly forwarded for review. Need to contact the Maybank corporate office? We have the mailing address, phone number, and email address listed below. called many times since few days ago for fixed deposit department, current account department. But no one picked up the calls. have been highlighted to customer feedback department, Mr Rueben. But when tried to contact customer feedback department again, the telephonist does not pick up the calls. It is very difficult to contact Maybank. I have been calling 4th-5th time regarding my refund amounted RM 23.8 and RM156.90 both transaction happened on 25th Nov. My report number: 01G2MUX8I. No closure, no status no response at all on the outcome. I feel really frustrated when Ive been going on and on and on with the same issues. First call, the customer service PROMISED that it will take only 1 week to do the refund. Ive been submitting dispute form just to ensure Ive done my part. But where's Maybank's part in solving this?? This is not fair for me, it doesn't matter how much is the amount. The matter is now. I already pay back the sum of the money. Almost 1 month still haven't unblock my account. Maybank request i to settle the problem and bank in 1300 to my account. Then Maybank will help me to give back to the complainer that from kuala lumpur. I already bank in 1300 and waiting Maybank deduct the 1300 and unblock my account. Until today it already 1 month. It is still blocking my account. 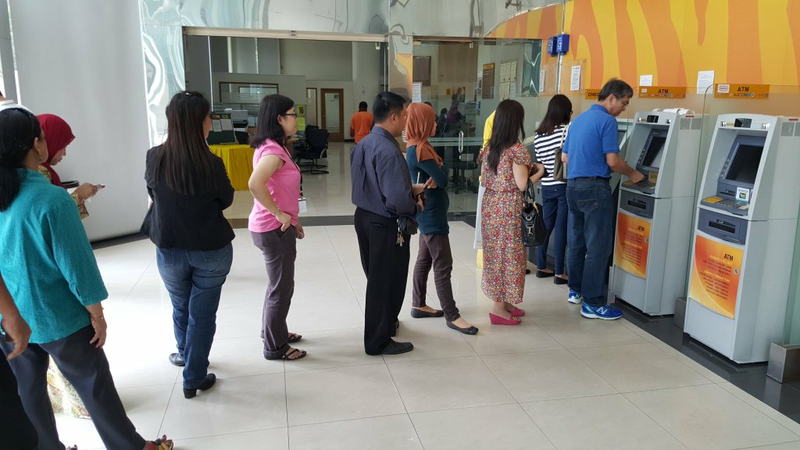 On 2nd of feb 2016 around 11:00am-11:35am I call maybank customer service but they keep telling me thy are busy. The answer doesn't make any sense. Please check this for me, I think they mingle around not doing the job they were hired to do. I'm sorry but the Maybank CEO really needs to hear this one. Experienced a very long line at the Maybank ATM. Someone needs to fix this asap!